Automatic Grinding Polishing Machine improves the productivity, quality of preparation with much lesser operator dependence; offering completely scratchless specimen. Six specimens polished simultaneously. Owing to the rich industrial experience and expertise in this business, we are involved in providing Surface Grinding Machine. We hold expertise in providing excellent quality surface grinding machines, which are engineered using the latest technology and advanced machinery. Extensively used in engineering, automobile and plastic industries. Leveraging over the skills of our qualified team of professionals, we are instrumental in offering wide range of Surface Grinding Machine. So are machine can be used to grinding accurate jobs. 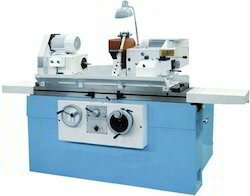 - All male parts such as column wheel head table saddle and machine base are provided with heavy Wheel flange Machine lamp and sturdy design to give higher rigidity of the machine. Models: 451, 451P, 451AP, 451AG, 451MP, 452P, 452AP, 452AG, 452 MP. 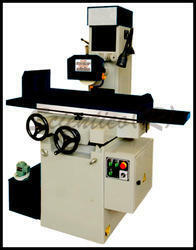 Precision surface grinder to produce micro surface finish. Exclusive low pressure hydraulics with monobloc design. Metkon's DIGIPREP Velox grinding & polishing machines/systems are available with 4 grinding/polishing stations (1 coarse grinding, 1 fine grinding and 2 polishing) which can accommodate 250 mm diameter wheel as well as 300 mm. diameter wheels.